What is the Oldest Known Fossil? The earth's sedimentary rocks contain a relatively large amount of fossils that formed from plants, animals and marine life preserved long ago in sand, silt or mud. 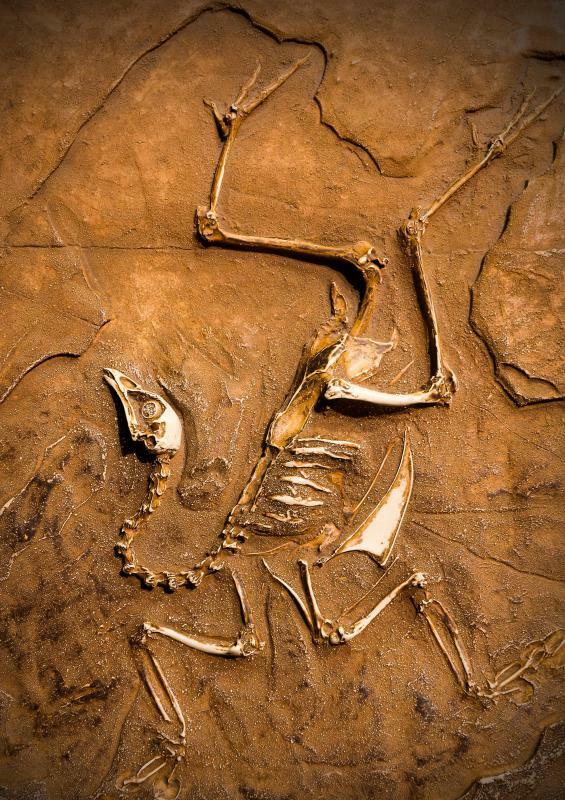 The oldest known bird fossils show that they evolved from dinosaurs. 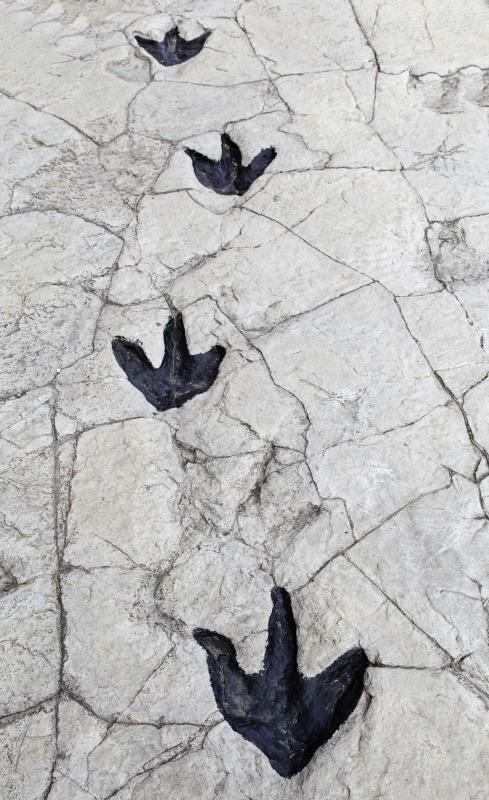 Fossilized footprints can reveal information about an extinct animal's behavior. 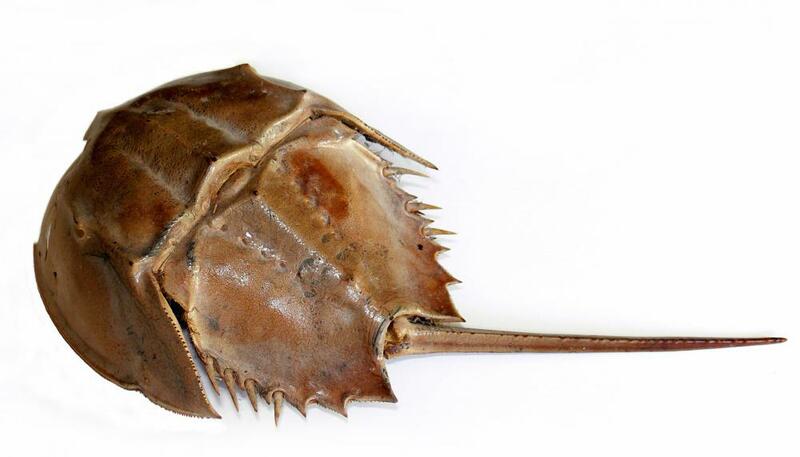 A horseshoe crab, a type of living fossil. The oldest known fossil of stromatolites is almost five times older than the oldest fossil of a multicellular organism, which dates back to about 600 million years ago. The oldest known fossil is a stromatolite (meaning "mattress rock" in Greek) dating to 2.74 billion years ago. A stromatolite is a layered accretionary structure created when bacteria, especially photosynthetic cyanobacteria, trap layers of sediment between the biofilms they create. Stromalites come in variety of different shapes and sizes, including cones, columns, and branching types. For a long time, it was thought that stromatolites didn't exist in the present (too many grazing organisms), until they were discovered in isolated, highly saline ecosystems such as Shark Bay and Lake Thetis in Australia and Cuatro Cienegas in Mexico. 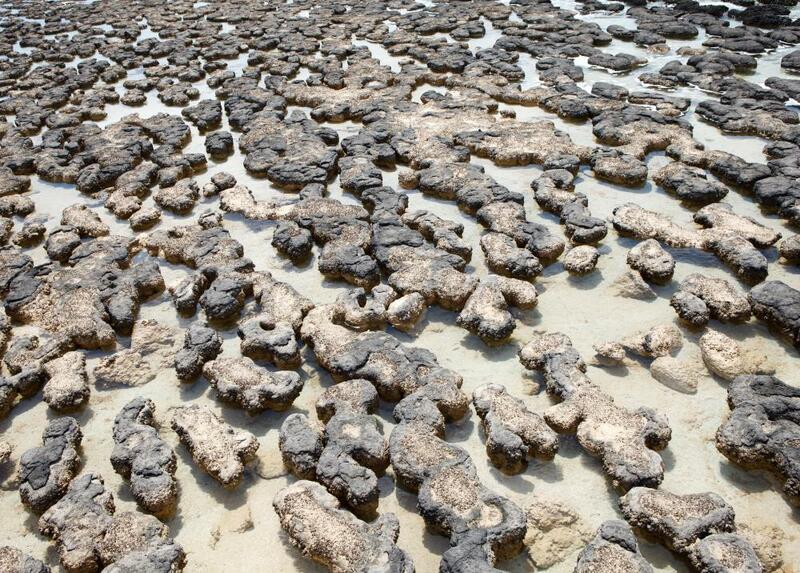 Like horseshoe crabs, because of their age, stromatolites are considered "living fossils." The oldest known fossil of stromatolites is almost five times older than the oldest fossil of a multicellular organism, which dates back to about 600 million years ago. There are some even older stromalite-like formations dating even further back than 2.74 billion years, also candidates for the oldest fossil, but none are confirmed by the scientific community. Stromatolites are signs of the organisms that may have had a role in changing the Earth more significant than any other organism: the cyanobacteria. These photosynthetic bacteria converted carbon dioxide into oxygen on a massive scale, changing the composition of the atmosphere and causing a so-called "Oxygen Catastrophe" that would have killed off many of the other organisms alive at the time, for which oxygen was poisonous. There are non-biological stromatolite-like structures which may be confused for the oldest known fossil, but signify nothing more than the precipitation of tiny crystals. These have not been observed today, but it is thought that conditions in the oceans of the past may have been ripe for their creation. 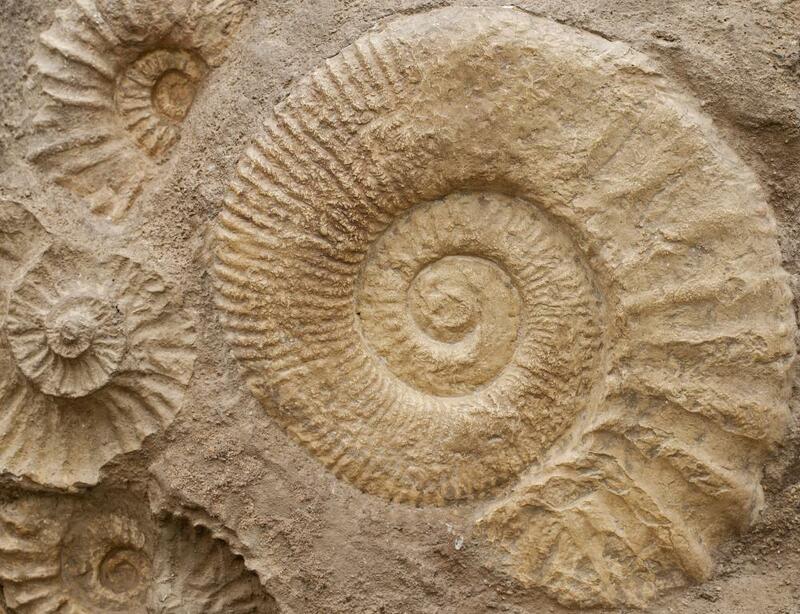 The oldest known fossils of animals do not appear until the Middle Ediacaran period, about 600 million years ago. These include a variety of simple sponges, cnidarians (like modern hydras), and even simple bilaterians (organisms with bilateral symmetry) that resemble tiny balloons. These animals emerged shortly after the greatest Ice Age in the history of the planet, which caused glaciers to form at sea level on the equator. What Are the Longest Living Trees? What is a Core Sample? What are the Most Important Historical Fossil Finds? What are Some Fossil Organisms That are Difficult to Classify? What is the First Bilateral Animal? What present-day organisms do they most closely resemble? is there any possibility that living stromtolite colonies might become more frequent as our atmosphere contains more carbon dioxide (providing other ambient conditions allow)? In that event then these blue-green beasties might actually help lock up carbon dioxide within a solid state and help rebalance the atmosphere? 1. The oldest known fossil lives today. We know the big problems concerning the dating of rocks. How somebody could say with certitude that the structures are so old? 2. The structures that "proves" the bacteria existence in the past is like the physical forces made structures. Why to believe that she structures are organic in nature? I suggest that these assumptions are based on a (bad) faith. There is no science. I believe that I was in a trip on the Moon. Can anybody prove that it is not true? We need more data. @sherlock87, knowledge that the atmosphere could be so changed once is also an indication that it could be so again. If this were better known, perhaps more people would consider modern concerns about things like global climate change to be more serious. It's interesting to think that these oldest found organisms could have had such an impact on our planet, that they actually changed the atmosphere's composition. The idea of our planet being one where aerobic, or oxygen-breathing, organisms thrive is one that nearly everyone seems to take for granted.